Keep your belongings out of the lost-and-found department and brand your company at the same time. Our customizable plastic bag tags are useful advertising for anyone on the go. 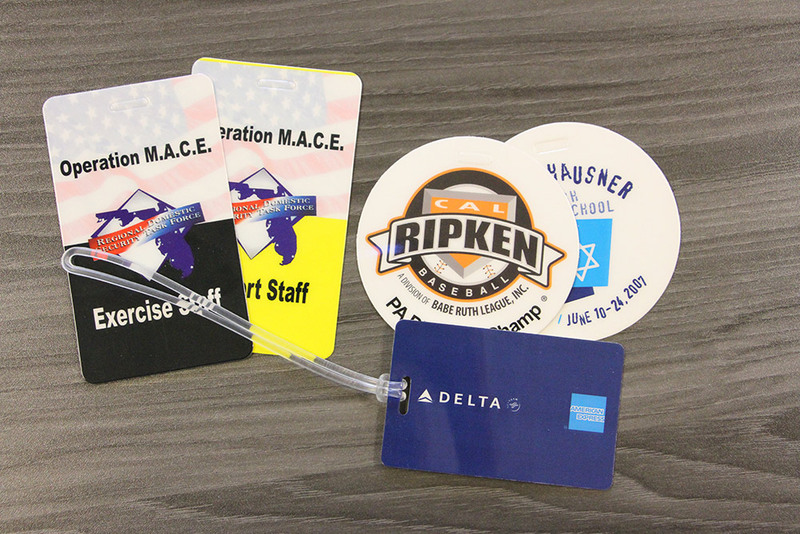 Suncoast identification Solutions bag tags are high-quality, custom plastic identification tags. They’re designed to help you identify your belongings quickly and easily. They even work as IDs for team members and employees. 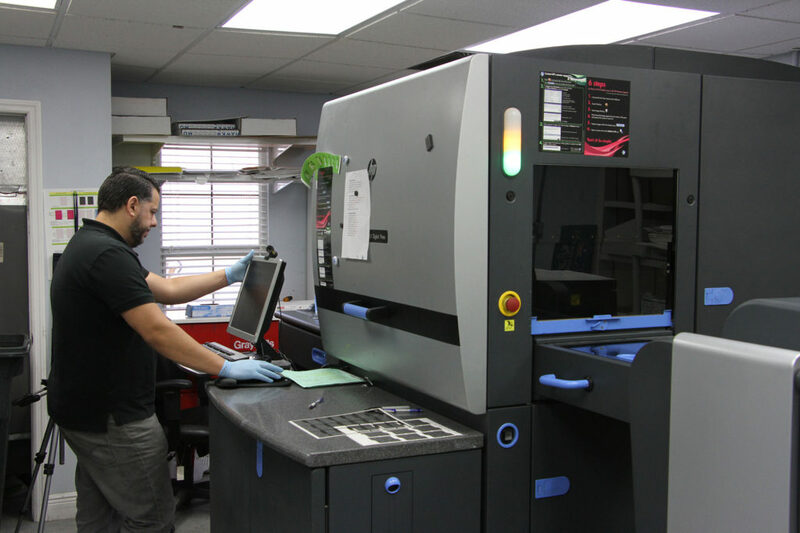 These small, customizable pieces of plastic can be printed to display a full-color logo and are protected under a matte or high-gloss lamination to endure years of wear and tear. If you’re wondering why you need bag tags, the answer is simple: Almost everyone has misplaced his or her briefcase or had trouble finding luggage among all the look-alikes at the airport baggage claim. Set your belongings apart from the rest with custom luggage tags, and you’ll save time and headaches. Advertising doesn’t have to be elaborate or costly. Your company can get noticed everywhere a laptop bag, backpack or piece of luggage goes with your bag tag on it. Plastic luggage tags don’t just help your customers locate items, they live on their bags for everyone to see, everywhere they go. Friends, family members, co-workers and strangers will notice creatively designed custom bag tags. As a result, your company receives inexpensive exposure that can lead to brand recognition and, ultimately, more sales. 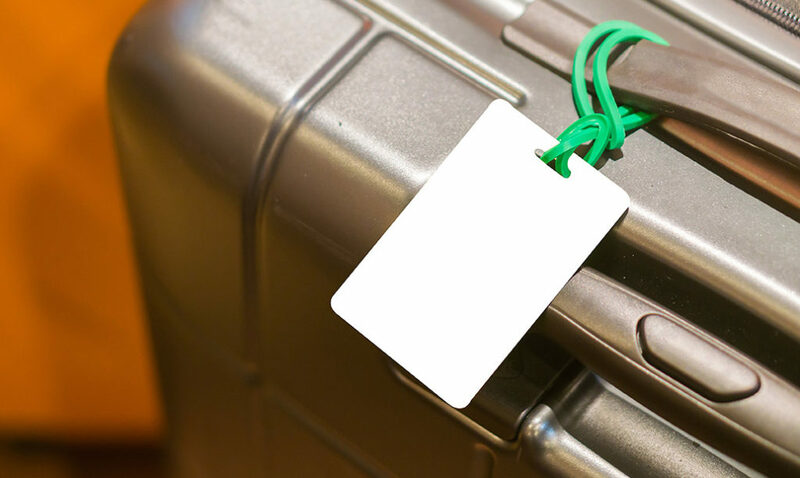 Company luggage tags are undeniably useful for employees, but they are also a powerful marketing tool for your company. High-quality custom bag tags are the best way for you and your workforce to advertise on the go. Want a Custom Designed Bag Tag? Not a Problem! Why Choose Suncoast Identification Solutions? 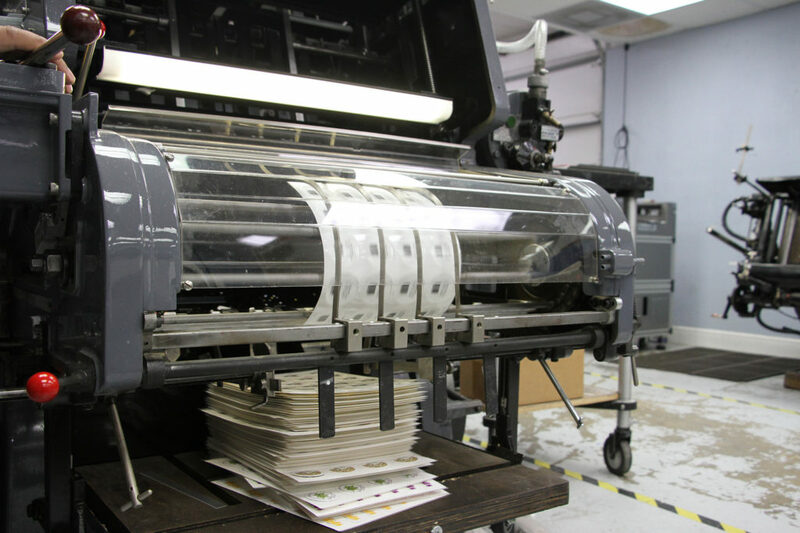 Suncoast Identification Solutions is not your average printing company. Our top-quality bag tags are held to a higher standard than the competition, which means you’ll receive a product that won’t be damaged by wear and tear. 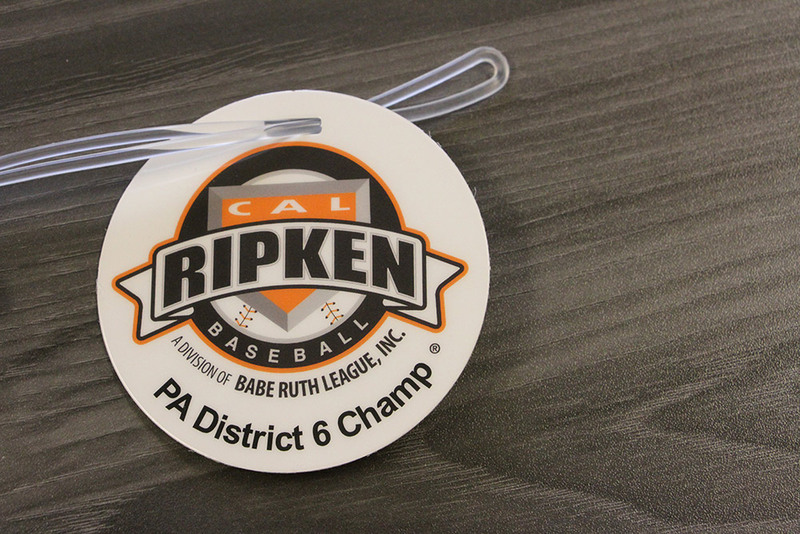 Our bag tags are available in multiple thicknesses and are made from durable plastic substrates that are resistant to rips, tears, cracks and spills. We offer custom plastic bag tags that can be tailored to your company’s exact needs, whether that means standard sizing or a shape that suits your business, products or services. Our on-site team of graphic artists will create a unique and eye-catching design that won’t go unnoticed, whether you’re at the airport, the office or simply walking down the street. Every Suncoast Identification Solutions bag tag is made with a water-resistant polyester core and a protective, gloss or matte laminate exterior that will maintain its look year after year.